Your smile is one of your most personal features, and a beautiful smile can be a valuable asset in both your personal and professional life. Since few people were born with a perfect smile, most people rely on the advancements of cosmetic dentistry to achieve one. However, it is essential that you do not choose just any dentist in your immediate area to care for your smile. It is essential that you find a qualified cosmetic dentist that you can trust. Dr. Justin Nylander of Allen Dentistry is the name that you can trust for the highest standard in cosmetic dentistry. 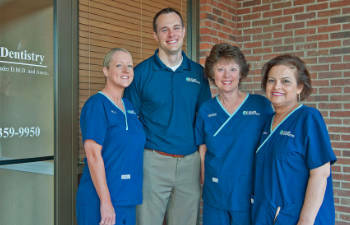 Dr. Nylander and his entire staff are committed to providing exceptional services to patients of all ages. If you are unhappy with appearance of your smile, contact Allen Dentistry to schedule an appointment with Dr. Justin Nylander here in Allen, Texas.